Since all of you have mastered reasonable accommodations under the Americans with Disabilities Act, this post seems rather unnecessary. Oh, that’s weird. Why is there smoke billowing from my blog servers? Under the Americans with Disabilities Act, an employer must make a reasonable accommodation to the known disability of a qualified individual if it would not impose an “undue hardship” on the operation of the employer’s business. A qualified individual is someone with a disability who, with or without reasonable accommodation, can perform the essential functions of the job. Put another way, if there is no accommodation that will allow an individual with a disability to do his or her job, that person’s failure-to-accommodate claim is going to do up in smoke — like my server. In Klik v. Verizon VA, Inc. (opinion here), the plaintiff, a Verizon tech, developed shoulder problems on the job. His job was very physical and had certain lifting requirements, among other things. I don’t envy any of you. Ah yes, the old “full duty” with restrictions. Except, under the ADA, you guys control what job functions are essential and what’s not. Seriously. The ADA regulations says that the employer’s judgment and written job descriptions are evidence of which functions are essential. Therefore, the job duties described by Verizon must be given effect. In the CST job description, CSTs are required to work aloft, including carrying and climbing ladders and poles using gaffs, working underground and lifting tools and equipment weighing up to 100 pounds….With these restrictions and with any accommodation (including a bucket truck), Klik could not perform the essential functions of a CST. Do essential job functions have to be performed daily? Nope. While Klik can point to each of these functions and argue that they are not required every day, this argument is unpersuasive. For example, any of these functions could be required at any time for a CST as it is hard to predict accurately exactly what a particular job will entail….Therefore, Klik’s complaint fails as a matter of law because he is not considered a “qualified employee” which is the threshold matter under the ADA. 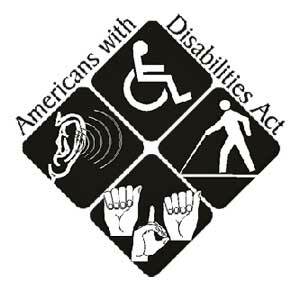 In this case, the plaintiff was not a qualified individual under the ADA. Company wins. Grab your job descriptions and make sure that they delineate the essential functions of each job. When an employee with a disability seeks an accommodation, as part of the interactive process, provide the employee (and the employee’s doctor) with a copy of the job description. But, don’t forget that, if an employee with a disability cannot perform the essential functions of his current job, but can perform the essential functions of another open position, consider a transfer. That’s a reasonable accommodation too.